How do you make perfect snickerdoodles? 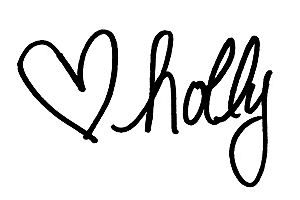 Is it the chewyness? Is it the cinnamon sugar coating? Or is it the yummy flavor? 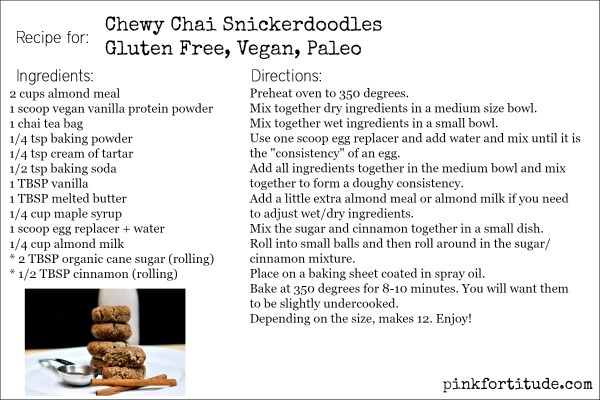 I added some chai tea spices and made this version gluten free, vegan, paleo, and with minimal sugar. Wowza do these snickerdoodles have an amazing flavor! 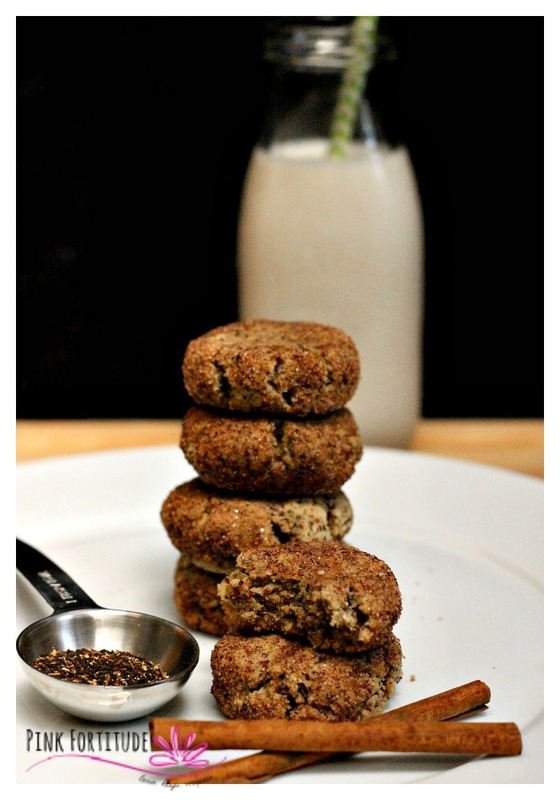 Enjoy them with some tea, a chai latte, or even as a breakfast cookie – without guilt. They are healthy for you! It doesn’t matter if you have food allergies or sensitivities, or just want to eat healthier – you don’t have to compromise on your favorite treats! 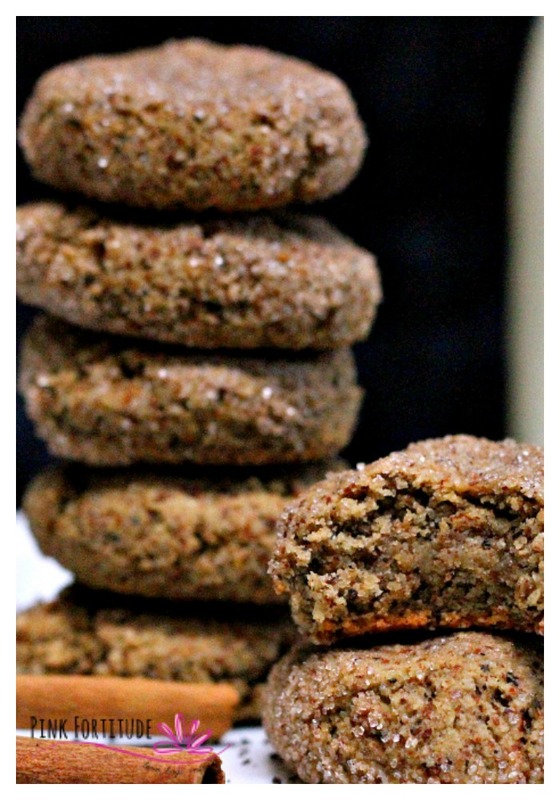 The base ingredient for these cookies is almond meal, and really, the only “unhealthy” ingredient is the cinnamon-sugar coating (My recommendation is to use an organic cane sugar). You can add the coating for a special treat, or for the kids, and leave them plain for the more health-conscious members of your family. 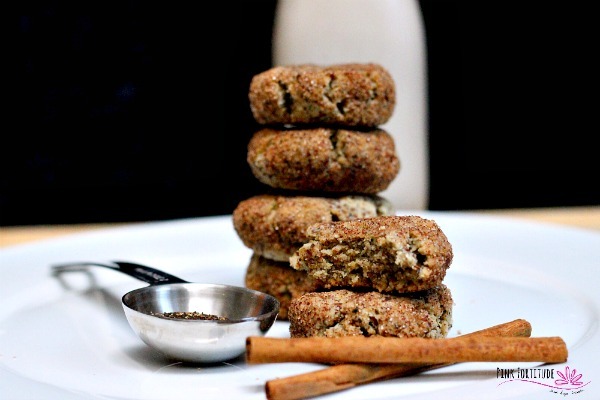 The cinnamon-sugar coating makes them taste like the most perfect chewy chai snickerdoodles, but they are still pretty tasty without it. I love Primal Palate’s Cinnamon Sugar Cookie Spice. YUM! I add Vega Protein Powder to pretty much everything I eat. It’s gluten free and vegan and an extra serving of protein and veggies so all is well! The spices in chai tea include ginger, cardamom, cinnamon, fennel, clove, and black pepper. This superstar cast of spices helps to aid digestion, improve circulation, boost immunity, reduce inflammation, detoxify, balance blood sugar, and are full of cancer-fighting antioxidants. Perfection! When mixing the dough, the baking standard is to mix your wet and dry ingredients separately. Go for it, my friend. I’m lazy extremely busy so I just mix everything together, but in order of dry first, then wet. It is best to mix together with a wooden spoon. Your dough will quickly come together. If you need to add a little extra almond milk or almond meal to balance the consistency, it’s ok. Optional – if you want to really deepen the flavor of the chai, add ONE DROP each of food grade cinnamon, ginger, and nutmeg essential oils. They must be food grade (GRAS = generally regarded as safe) so they are safe to consume, and these oils are extremely potent so one drop of each is all you will need! The recommended cooking time is 8-12 minutes, depending on your oven. You will want the cookies to be slightly under-cooked to give them that chewy consistency that is desirable in a snickerdoodle. Remember that without traditional flour (gluten), the cookies will not cook the same as a traditional snickerdoodle. 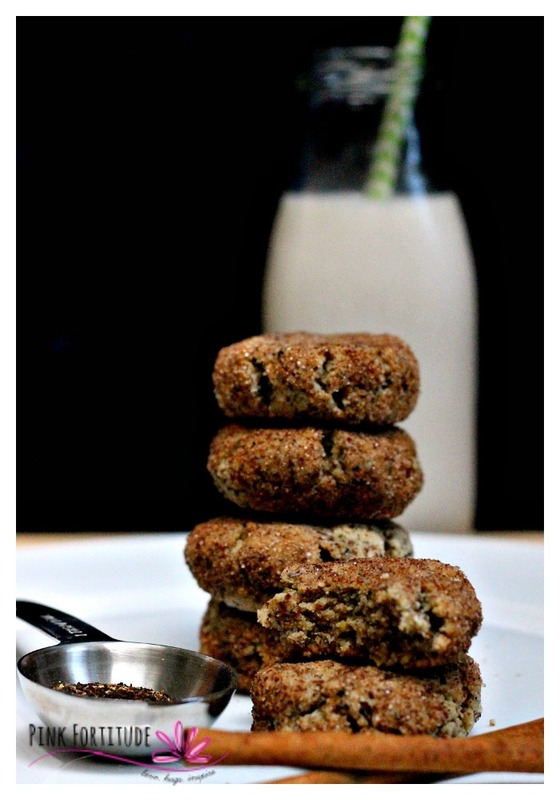 Enjoy with your favorite almond milk or chai latte or even as a breakfast cookie! 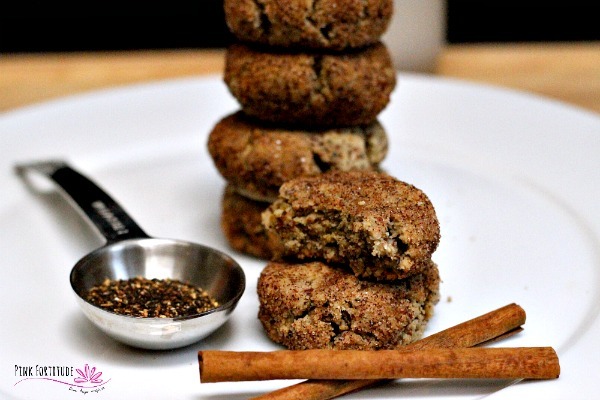 The ingredients are healthy, and you can even use organic cinnamon and organic chai tea! Love, hugs, and darn tootin I’m making a little sugar exception for these guys!